As we age and move through the stages of life, the practice of Meditation can help us develop a deep contentment and be less disturbed by whatever we encounter in our day to day lives. The practice of contemplation can help us sort out our priorities by reflecting on what is most important and what will bring us true contentment. On this retreat Susan will guide us through the steps of meditation and contemplation and we will learn how we can use these methods to make our lives as meaningful as possible at whatever stage and age we are at on life’s journey. 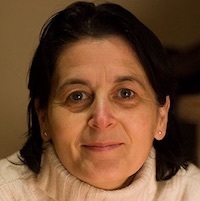 Susan Browne has over 25 years experience of Buddhist meditation and compassion practices. She has been guiding groups and individuals in retreat over the past 20 years, both at Dzogchen Beara Buddhist Centre, on the Beara peninsula in Ireland and at the Institute of Wisdom and Compassion, Roqueredonde, France. Susan specialises in providing insight and guidance on meditation methods most appropriate for challenges one is facing, thus allowing for the possibility of ease and wellbeing to prevail.